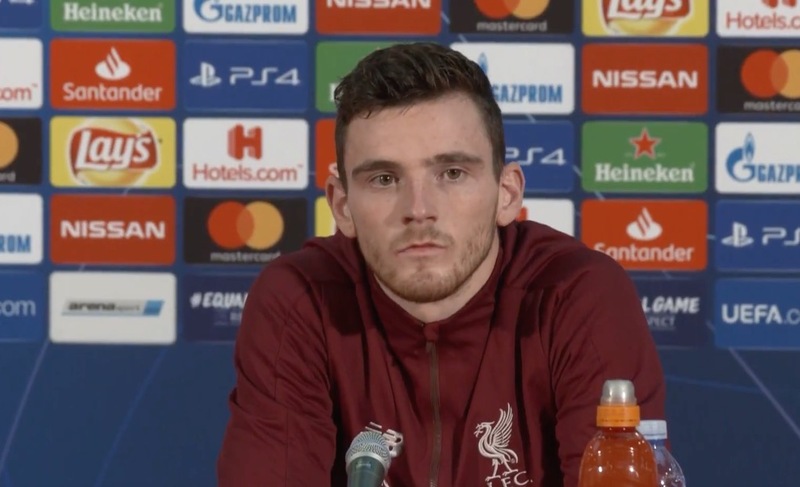 Jurgen Klopp and Andy Robertson talk to the press ahead of Liverpool’s Champions League game at Red Star Belgrade on Tuesday night. “We have to be very strong, football-wise. We are from Liverpool so we know how big influence the atmosphere can be.